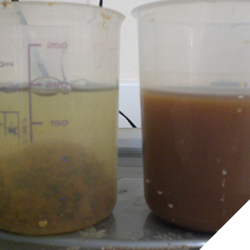 Enerjex 550 is an aluminium-based flocculating agent for use during effluent neutralisation. In order to comply with local water authority regulations all acid-waste needs to be treated before discharging to the local public sewer system. Note: a licence to discharge will need to be obtained before legal permission is given to discharge. Gives rapid settlement of metal hydroxides in the form of a sludge which can be sent for disposal (or passed through a filter press). Helps the drop-out of metals from solution after pH correction is made typically 6 -10. It is within this range that maximum precipitation of the metal salts will occur, resulting in a waste water that complies with local water authority levels. Should be used in conjunction with Enerjex 520 neutralising agent for pH adjustment between 6 - 10. 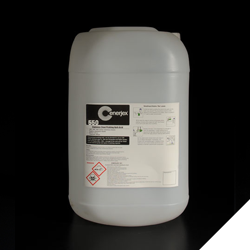 Supplied in 25lt, 200lt or 1000lt Polyethylene containers which are type approved for hazardous goods.